When we adopted our dog, Sally, from the shelter, we were so excited. We could tell she was a bit nervous/anxious on the car ride home. We kept her on a leash while we walked her through the house at first, then after a couple of minutes, we let her have free reign. She explored her new home, and shortly after we found ourselves cuddled up on the couch with her. We could tell she was exhausted after an eventful day, so we decided to try to calm her and give her some affection that first evening home with us. I think this was the best thing we could’ve done for her at that time. 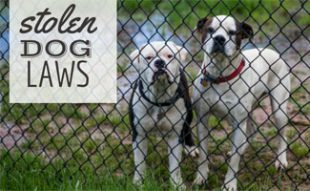 In this article, we’ll discuss how to bond with your rescue dog after you bring her home (learn more about the rescue process) and why bonding with your dog is so important. One of the best things you can do for your dog is simply to spend time with her. Since I work from home, Sally and I are together all day long. I’m grateful for this time, even though we aren’t really doing anything together except being in each others’ presence. However, I think she’s thankful for this time as well, not to mention it prevents her from being kenneled all day. I realize this isn’t the case for everyone, though. It’s important that you make time for your dog. A dog isn’t meant to just wait at home for you and then watch you eat dinner, watch television, clean the house, etc. 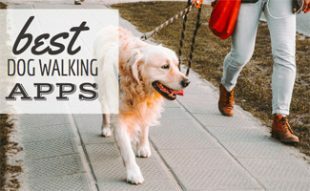 It’s important that you do things that are good for your dog to show her you care — it’s quite similar to a relationship with someone you’re dating. 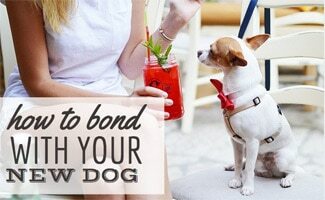 Below are some tips for how to bond with a new dog. After the workday is finished, we spend time with Sally playing fetch, pulling on her rope toy or going for a walk/run. Sally loves exploring new places, so we try to change up our walking/running routes. That way she can explore different scents and be exposed to new areas. We try to do as many of these things as a family, so we can all bond together. Another thing we do with her is have “play dates” with other dogs. It’s important for your dog to be exposed to other canines and even though Sally is playing with another dog during this time, it’s a good opportunity to see how well she listens to us. This is a good test to see how our relationship is with Sally. As you most likely know, two dogs can cause a bit of trouble, so during these times we correct Sally, and if she listens, it shows that she respects us even when her pals are around. My husband’s favorite bonding activity is cuddling up with Sally — on the floor, on the couch, basically anywhere. During cuddle time we give her lots of petting, especially on her belly since that’s one of her favorite spots. Training your dog to do ticks is another bonding activity. Lastly, training your dog for obedience or to do tricks is another bonding activity. These training tips from PetMD can help you train in a way that will strengthen your bond with your dog. If you have the money in your budget, take an obedience class or some other type of training class with your dog. (You can even take online obedience classes.) A class requires you to spend a certain amount of time per night with all your attention on your dog. No distractions, just you and your dog learning new tricks and commands together. We took an obedience class with Sally and saw huge improvements in her ability to learn commands plus we grew closer in our relationship. Not only did we work with Sally during class, but we also had “homework,” which gave us even more time dedicated to her. When we adopted Sally, my husband wanted to make sure we both fed her once a day. At first, I thought this was a little silly, but I was all for it because it meant he had to do the morning feeding (and I got to sleep in some) since he isn’t home for her afternoon feeding. It turns out; he was thinking about this correctly (don’t tell him I said that!). Learning how to bond with your new puppy or dog can sometimes be difficult if your furry pal is attached to one person. These tips will help you get over that hump. Sometimes, dogs tend to cling to one family member, and it’s typically the one that feeds and walks them. To avoid this type of behavior, have other people in the family feed and walk your dog. These are positive activities that dogs generally enjoy, so it’s important that all family members are involved. Also, make sure other family members are giving treats, petting, playing and spending time with your dog in general. 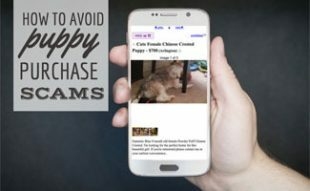 Your dog will start to associate the other family members with positive, safe experiences, which will help her be less clingy to just one person in the household. Can Humans Have Bonds With Any Animal? The human and dog bond isn’t a new or difficult concept to grasp. However, humans bonding with cheetahs, penguins, gorillas, alligators and lions may be tricky to wrap your head around. Check out these amazing bonds between animals and humans. Why Is Bonding With Your Dog Important? You’re on a walk with Fido and decide to let him off leash for a little bit. You’ve been building up to this moment and feel that you can trust him. Out pops a rabbit on the trail. Fido begins to chase the rabbit, but you holler, “Fido, NO!” Fido stops and comes to you immediately. 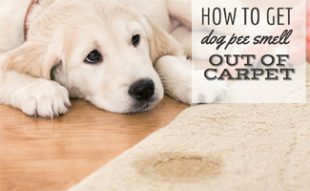 Do you know why Fido did this? Because you and he share a strong bond with one another. You never know when something unexpected may happen and the stronger your bond with your dog is, the better prepared you will be to give your dog commands, and he will listen. For example, when we first adopted Sally, she would try to sneak out the front door. After a few weeks of obedience class and strengthening our bond together, she stopped this behavior. These types of bonds take time to create, so don’t feel discouraged if your dog isn’t there yet. I’ll admit, we aren’t quite there with Sally, but we hope to be someday. Bonding with a new dog isn’t something that happens overnight. Each dog is different, so the timeline for when you both have complete trust in one another will vary case to case. Did you know that women and dogs share a unique, tight bond? It’s actually quite fascinating, and we encourage you to learn more about the bond shared between women and canines in our article. What tips do you have for how to bond with a dog? You didn’t mention grooming. I have a long-haired breed and I do all of the brushing, nail trims, ear cleaning and baths. My dog certainly enjoys the brushing although maybe not the other things so much.